The catchment of the Dead Sea covers approximately 42,000km2, stretching from southern Lebanon to the Sinai Peninsula in Egypt (see map below, the area bordered in white). All rainfall in this area that is not evaporated or extracted for use elsewhere accumulates in the Dead Sea, a low-lying saline lake. Because the catchment of the Dead Sea is an inland basin – it has no outlet to the sea – all the incoming water must evaporate from its surface. For the Dead Sea to maintain a constant water level, the amount lost by evaporation must equal the inflowing water. 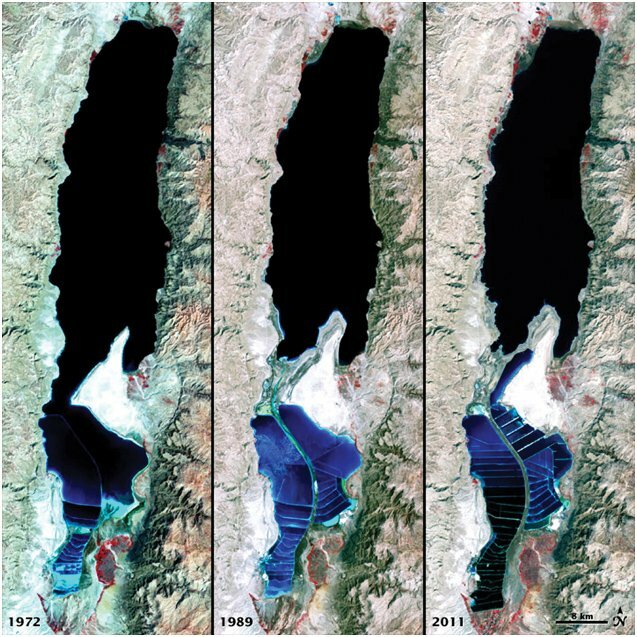 However, the Dead Sea has been shrinking because its main source of water, the Jordan River, has been gradually declining since the 1950s as a result of large-scale water infrastructure projects on the river and its tributaries. The Israeli and Jordanian development of the potash industry in the shallow southern part of the sea has further contributed to its decline. 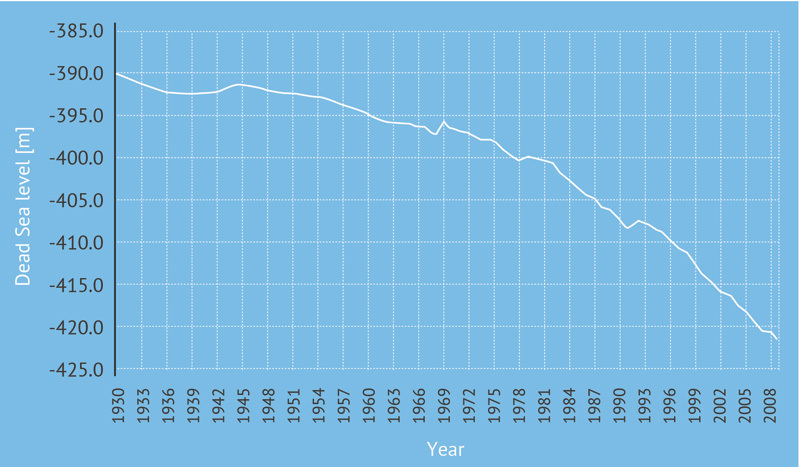 In 2014, the level of the Dead Sea had dropped to 428 metres below sea level (m bsl), which represents a drop of 30m since 1960. As a result, the surface area of the Dead Sea has been reduced by about a third from 950 to 620km2. To build a symbol of peace in the Middle East. The studies, which cost $16.7 million, were financed by France, Greece, Italy, Japan, The Netherlands, South Korea, Sweden and the United States. The feasibility study estimates the total costs for the preferred pipeline option at $10.6 billion, which includes an annual extraction of 2 billion cubic metres (BCM) from the Red Sea, two hydroelectric power plants and a reverse-osmosis desalination plant. No proposals were made for the financing of the project. In December 2013, the three parties signed an agreement for the implementation of a vastly scaled-back version of the Red Sea-Dead Sea (RSDS) Project. It is designed to accomplish two objectives: to provide new water to a critically water-scarce region; and to understand better, under scientific supervision, the consequences of mixing Red Sea and Dead Sea waters. According to the agreement, 200MCM/yr will be extracted from the Red Sea for the production of 80-100MCM/yr of potable water at Aqaba. Israel will receive 50MCM/yr of water for the Arava region and Eilat, and Jordan will use 30MCM/yr in the southern region of Aqaba. In return, Israel will make available to Jordan 50MCM/yr of water from Lake Tiberias for use in the north. About 100MCM/yr of brine from the desalination plant at the Red Sea will be transported through a 200km pipeline to replenish the shrinking Dead Sea. This is about one tenth of what is needed to prevent the level from dropping further. The $950 million project is to be financed through international funding. The pipeline will take an estimated three years to complete.